The Friends are the longest running supporter group of The Children's Trust. We welcome any help, be it a donation, becoming a patron or volunteering your time. To see the joy on the childrens faces when they receive an extra present or go on an outing to visit somewhere interesting makes all our efforts and contributions worthwhile. Kingswood village hall,Waterhouse lane, KT20 6EB, from 7.30 - 10pm. 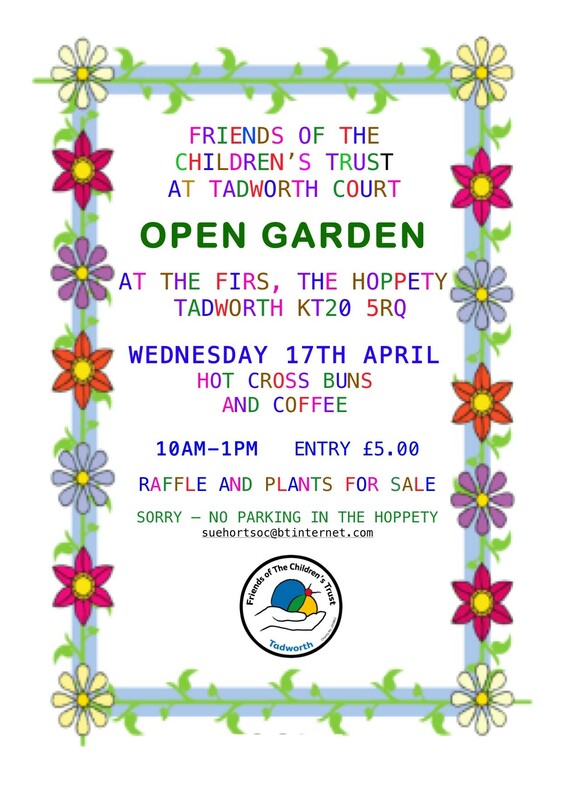 The Firs, The Hoppety, Tadworth, KT20 5RQ, from 10am - 1pm. We are always looking to increase our membership and if you know of anyone who would be interested in joining us, we have a membership form on this website which you can use. Our current members have over the years gained immense satisfaction from helping such a great charity as The Children’s Trust.